The Elite Slide Board 6ft is a travel size slide board great for at home use or bringing it on the road. The Elite Slide Board series offers heavy duty rubber ends stops for maximum strength push offs. The Elite Slide Board series is a great lateral training tool that provides endless amounts of fun and excitement in the training world. Your slide board offers the following exercises. Lateral Slides, Jack Knife, Mountain Climbers, Lunges, Vertical Slides, Butterfly and more. 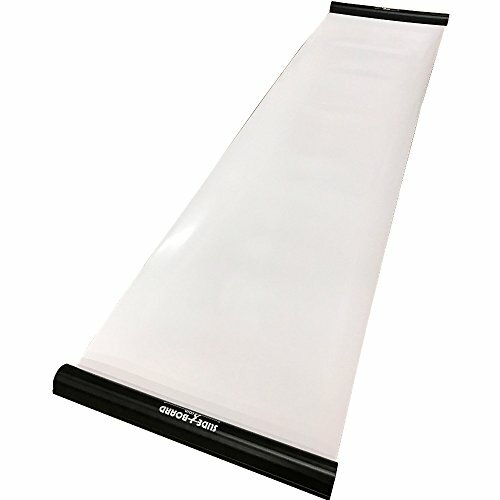 Slide Board stores easily inside carrying bag. Slide Board weighs approximately 8 pounds.